Designed and manufactured to the highest standards, the Amazon Brass Pump range is constructed from precision machined brass impellers and brass body stampings. 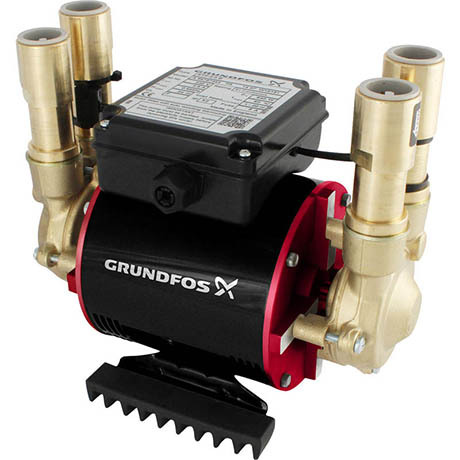 The Grundfos Amazon STP-4.0 B is a Positive head shower booster pump used to increase water pressure to a gravity fed hot water system. It's ideal for boosting water to single/multiple showers or whole house boosting where the outlets are below the cold water tank. Please note: Shower pumps are not suitable to be installed with combination boilers.